The only thing more unbelievable (read: awesome!) 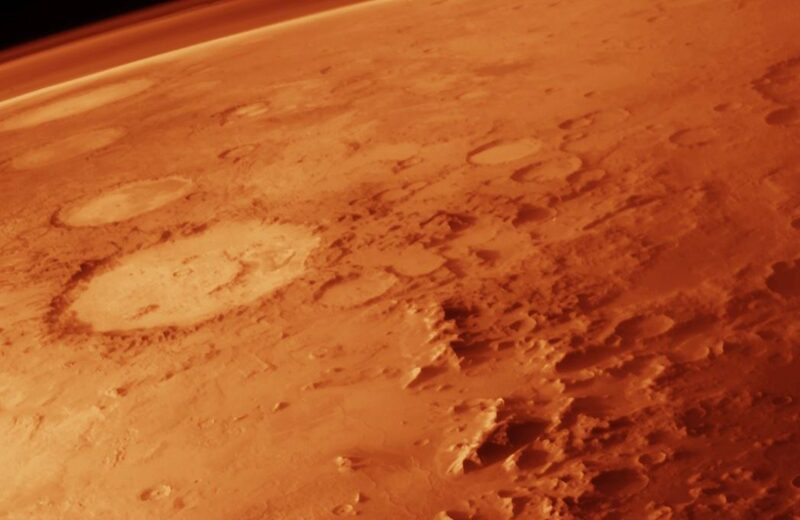 than the plot of Andy Weir’s novel, The Martian, is the story behind it’s success. Weir initially gave the book away for free on his website, until friends and fans encouraged him to make it available in the Kindle bookstore. He uploaded it and charged 99 cents, the cheapest possible. In three months, it sold 35,000 copies in three months and rose to the top of Amazon’s sci-fi best-seller list. A publisher purchased the rights, and shortly thereafter Hollywood came calling as 20th Century Fox purchased the film rights. Read on for a summary and my review. The elevator pitch for The Martian would go something like this: “It’s Gravity meets Castaway meets The Truman Show.” In the story, NASA has successfully sent two manned expeditions to Mars. Engineer/botanist/astronaut Mark Watney is a member of the third expedition to Mars. He and his crew land safely; however, when the team is out conducting experiments, a storm surprises them. In the chaos, a piece of equipment hits Watney and sends him flying. The rest of the team, believing Watney to be dead, makes a hasty escape. Watney, though wounded, is not dead. When he comes to, he quickly assesses the situation and realizes that he will be dead in a matter of weeks. However, Watney is brilliant, almost supernaturally so, and devises a plan that just might keep him alive until NASA’s next scheduled mission to Mars. Back on earth, a low-level astronomer makes the shocking discovery that Watney is alive. This discovery sets in motion an emergency plan to rescue the stranded astronaut that will take everything that NASA’s got, along with help from some unlikely allies. Watney immediately becomes the most talked-about and watched news story around the world. Weir’s book feels more like a documentary account of a miraculous survival than a sci-fi novel. It’s immediately clear that he’s done extensive research into interplanetary travel, biology, physics, and the like. Surprisingly, though much of the book gets into the technical details of how Watney plans to survive, it never gets boring or distracting. Watney is a great central character, and his sense of humor and determination to survive helps guide the reader through those normally mind-numbing details. The Martian is almost impossible to put down, especially over the last fifty pages or so. I was shocked to find myself near tears at the end, a signal of Weir’s ability to emotionally connect Watney to his readers. Unlike so many other works of science fiction, which prefer dystopian settings and events, The Martian is a work of brave optimism and faith in human nature and the global community. It’ll be interesting to see what the film adaptation looks like. In an interview, Weir said he’d like to see Aaron Paul play the lead. Looks like, on top of being a fine writer, Weir could be a talented casting director too. Unfortunately, The Martian is no longer free to download, but you can get a digital copy on the Google Play store or Amazon Kindle for $9.99. It’s also available in hardback.